The Orlofsky name will forever be linked to the late twentieth century's "bible of quilt history," Quilts in America. Patsy and Myron Orlofsky had a keen interest in American decorative arts but lamented the lowly place American quilts held in that field. To remedy the situation, the husband-and-wife team embarked on a three-year project to research quilts and quilt history. The result was Quilts in America, originally published by McGraw-Hill in 1974. A review in Quilter's Newsletter Magazine lauded the book for being "considerably more comprehensive than similar books to date. Collectors will find most of the information they need here to establish the age of their quilts, and footnotes to help them if they want to look up more details about a given subject." The reviewer correctly predicted that the book, with 300 photographs of quilts, would become an extraordinarily valuable text for quilt collectors, dealers, and students of quilt history. Patsy is the daughter of Shirley and Harry Kulp, and was born in 1943 in Chicago. She attended elementary and secondary schools in Highland Park, Illinois. In 1965 she graduated from Skidmore College, Saratoga Springs, New York, with a B.S. degree. For the next three years, she traveled throughout Spain and studied art history and Spanish at the University of Barcelona. After returning to New York State in 1968, she taught crafts at the Storefront Arts Center in White Plains. In 1968, Patsy married Myron Orlofsky, an early collector of postwar contemporary art who shared her fascination with "the dynamism of authentic objects of American folk art." Together they collected about 300 handmade American quilts, paying as little as twenty-five cents for some. Patsy recalls that "people thought of quilts then as 'Betsy Ross colonial kitsch.' We wanted quilts to take their rightful place in the field of American antiques. We had lots of coffee table antique books with only minor mentions of quilts. We decided to produce a textbook on quilts and quilt history. We consulted every article and book printed about quilts, and included everything: tools, people, aesthetic ideas, ethnic variations." 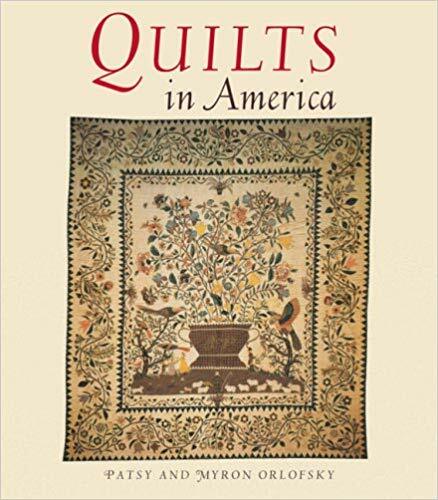 As soon as their landmark book was published, Myron and Patsy began lecturing at quilt events, including at the University of California and Yale University, and also served as consultants to quilt exhibits. In 1975, Patsy contributed to the exhibits American Pictorial Quilts at the Vassar College Art Gallery and Quilts and Coverlets at the Star of the Republic Museum in Texas. In 1976, Myron and Patsy were invited to lecture on quilts at the American Folk Studies Seminar of Cornell University in Ithaca, New York, which was also attended by future Quilters Hall of Fame honorees Jonathan Holstein, Gail van der Hoof, Bonnie Leman, and Jean Ray Laury. Tragically, on the way home from this conference, Myron suffered a fatal heart attack, leaving Patsy pregnant with their only child, Sam, who was born in October 1976. Needless to say, Myron's death necessitated major changes in Patsy's life plans. In 1977, her interest in quilts and textiles led her to establish the Textile Conservation Workshop (TCW) in a historic nineteenth-century building in South Salem, New York. Today, Patsy still serves as the executive director of this nonprofit organization, widely recognized as a leading conservation center, where Patsy and her staff of specialists and interns care for textiles ranging from the rare and fragile to the historic and artistic. Each year, they treat around 300 pieces, including archaeological and ethnographic textiles, quilts, woven coverlets, samplers, domestic and ecclesiastical textiles, historic flags, political memorabilia, rugs, and costumes. Each item receives a proposed-treatment report and before-and-after photographs for documentation. State-of-the-art equipment is used, including two specially designed suction tables- flat plane porous structures providing a controlled airflow for use with liquid to gently draw stains out of fragile textiles. Patsy has played an active role in the conservation community, participating in seminars and writing articles. 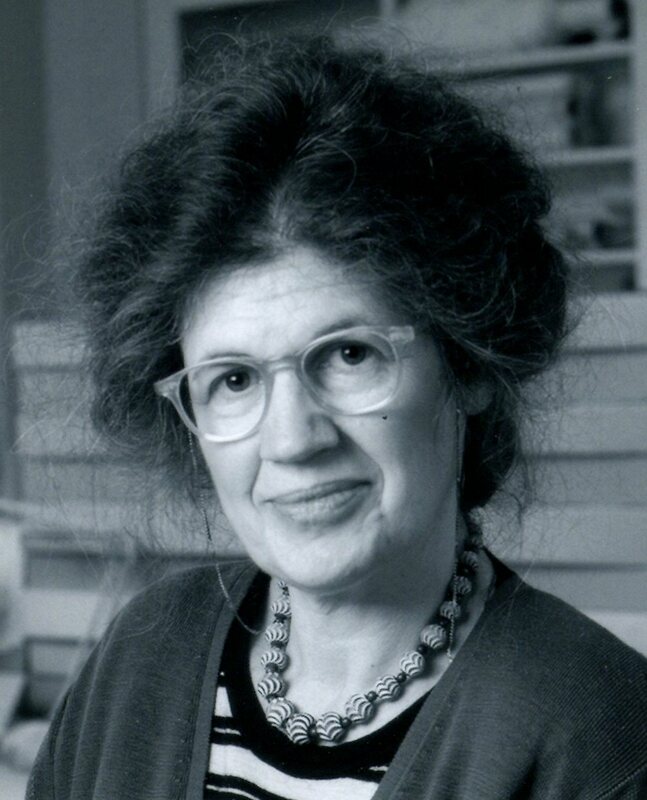 In the 1980s, she studied in the master's degree program for preservation administration in Columbia University's School of Library Service and served as program director for the New York State Conservation Consultancy. She also served on the board of directors for the National Institute for Conservation of Cultural Property and has been an adviser or consultant for numerous museums and organizations. She presently serves on the Ethics and Standards Committee and the Kress Conservation Publication Fellowship Committee of the American Institute for Conservation and is a member of the Collections Committee at the Cooper-Hewitt Museum. After the Orlofskys' book Quilts in America went out of print, its price quickly escalated to hundreds of dollars per copy. Realizing the great demand for the book, the most comprehensive quilt history to date, Patsy began to work on a new edition. This was published in 1992 by Abbeville Press, to the delight of quilt historians and collectors. In 2005, the book was again reissued in paperback. Patsy still lives in a handsome Victorian house next door to the Textile Conservation Workshop. Her living space reflects another of her interests, that of contemporary art. "I have never made art," she says, "but I have always appreciated every facet of the arts. Textile conservation is an esoteric field. One needs a background in studio art, art history, organic chemistry, not to mention patience and a fine hand. The goal in bench conservation is to combine artistic ability and scientific knowledge while restoring and retaining the material and culturally significant qualities of an artifact." Patsy Orlofsky relishes her tole as "a facilitator of fine arts craftsmanship," helping her coworkers maintain an aesthetic perspective on their technical tasks. An outreach education and survey program for small museums and historical societies was established in 1985. With intervention on a preventive level for sizable collections, Patsy believes the need for individual laboratory treatments of specific objects will be reduced, thereby saving artifacts, time, and funds. Because of its unusually diverse staff and its dedication to mentoring, the workshop has been uniquely qualified to provide an important service to the field, filling a gap not covered by formal conservation schooling. As a regional conservation lab, the workshop has been the major training center for textile conservation interns in the United States of America for the last twenty-five years. Her appreciation of the beautiful objects she works with is expressed in her own lectures and publications, in TCW's educational program for small museums and historical societies, and in a number of pro bono services that the nonprofit center provides on behalf of textiles everywhere. Her staff gladly answers phone queries on how to cope with rust stains on an old quilt or the bleeding dyes on a sampler. In 1987, Patsy Orlofsky was inducted into The Quilters Hall of Fame in honor of the significant contributions she has made to the field of quilt study and textile preservation. "We do not believe that quilts must be in pristine condition in order to be appreciated. Many quilts will be worn, the fabrics deteriorated, the colors faded, but we believe this to be the life of the quilt." Orlofsky, Patsy, "The Collector's Guide for the Care of Quilts in the Home." The Quilt Digest 2. San Francisco: The Quilt Digest Press, 1984. -----. "Textile Conservation." Conservation Concerns: A Guide for Collectors and Curators. Edited by Konstanze Bachmann. Washington, DC: Smithsonian Institution, 1992, 79-84. Orlofsky, Patsy, and Myron Orlofsky. "Dating Heirloom Quilts." Quilter's Newsletter Magazine, no. 65 (March 1975). ------. Quilts in America. New York: McGraw-Hill, 1974. Reprint, New york: Abbeville Press, 1992. Orlofsky, Patsy, and Phyllis Dillon. "A Conservation Profile." The Clarion. New York: Museum of American Folk Art, Spring/Summer 1986, 75-79.